Tecate announced an evolution to their award winning “Born Bold” campaign introduced in 2015 called “We Are Bold.” The new campaign is built around four friends’ brotherly bond while emphasizing the camaraderie, rivalries and unspoken, yet understood inside jokes during their regular barbecues (BBQ). Estrella Jalisco announced an agreement with Soccer United Marketing (SUM), the commercial arm of Major League Soccer, to partner with the Mexican Soccer Federation (Federación Mexicana de Fútbol, FMF). As part of the agreement, Estrella Jalisco becomes the Official Beer of the Men’s Mexican National Soccer Team (MNT) throughout the annual U.S. Tour of El Tricolor, on the Road to Russia for the 2018 FIFA World Cup and beyond. Experiential plays a powerful role in driving the how, when, and where millennials spend their dollars and willundoubtedly become one of the most influential and relevant engagement channels for the generation to follow….Generation Z. For legacy brands, experiential marketing is incredibly important as it inspires people to action and force CPG marketers to rethink how they connect with people outside of the aisle and beyond the screen. Jack Daniel’s Tennessee Whiskey presents TURNO7, a digital content series that celebrates Latino business owners, who like Jack Daniel himself, stayed true to their principles. Each story demonstrates the authenticity, integrity, spirit of independence and loyalty to their craft. With Hispanic Heritage Month in full swing, the Immigrant Archive Project and DishLATINO are teaming up to digitally showcase the stories of Latino immigrants who left their home countries to build a new life in the United States. PM3, an Atlanta based multicultural advertising agency, recently created the movement called "Puerto Ricovery". The use of social media and technology for sponsorship activations are topics of keen interest for the ANA Sponsorship & Event Marketing Committee. Hennessy and Golden Boy Promotions announced a formal partnership that brings to life the spirit of Hennessy's "Never stop. Never settle." 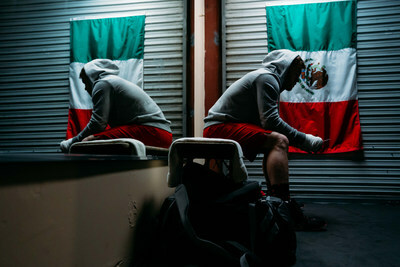 mantra, with content that tells the remarkable story of Saul "Canelo" Álvarez. The California Milk Processor Board (CMPB), creators of the iconic got milk? campaign and its Spanish-language counterpart Toma Leche, has teamed up with Grupo Chespirito to host the 1-year anniversary of "El Chavo del Ocho Day" in Los Angeles on Sept. 8 with month-long celebrations featuring "La Merienda" snack+ milk pairings. Tajín International Corporation announced a new partnership with MasterChef winner Claudia Sandoval who will serve as Tajín’s official chef and recipe creator in the U.S.